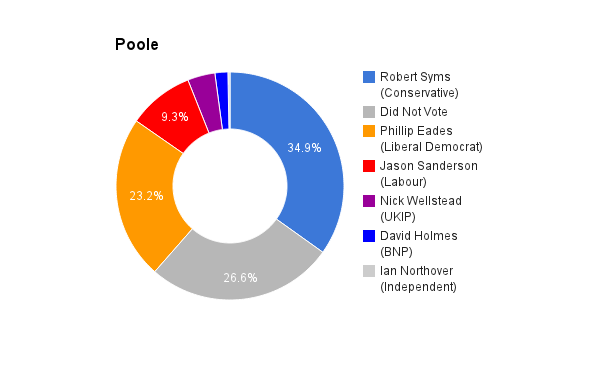 Poole, in Dorset, has been represented by Robert Syms of the Conservative Party since 1997. I am Leader of Poole People. Poole People is a local, independent party putting up candidates within the Borough of Poole. It was founded in 2010 because of dissatisfaction with how the Conservatives and LibDems had been running the Borough. It currently has 4 councillors and is putting up 11 candidates in the local elections on 7 May. Poole People feels that it is important to give the public the opportunity to vote for a credible independent candidate in the General Election, and I have been selected to fill that role. I have lived in Poole for 12 years. It is a wonderful place and I would be proud to represent the people of Poole. I have a wide range of experiences to draw upon, having worked as a Solicitor in London and in Cairo, and having run an ethical communications/photography business in Poole. I have also had a book published on the Israeli/Palestinian political situation. I have also been a Councillor for Poole Town for the last four years. I feel strongly that the country would benefit from the election of independent minded MPs. It would also be great publicity for Poole if I was to be elected on 7 May. As a representative of a local party, I have a natural connection with voters in Poole. Poole People is a grassroots party and its success depends on its elected representatives listening to the opinions of local people, and acting for their benefit. I have no desire to spend more time in London than is necessary. Poole will remain my home and I will be readily accessible to residents. Poole People has strong independent values and does not believe in the imposition of whips. Unlike candidates from other parties, if elected, I will be able to make my own decisions and vote accordingly. Poole People is not right or left leaning – we do not have an ideology, other than believing in localism and the value of communities. With my broad range of skills and experiences and centrist approach, I feel that I am best position to represent the majority of Poole’s citizens. I do not feel that the current MP has done enough for Poole. I cannot point to any specific benefits that he has brought to the Borough. I prefer not to criticise other candidates, however. I think that voters can make their own minds up about the performance of the current MP. I feel that many of the austerity measures that have been taken over the past four years have been worthwhile because they have forced local authorities and other government funded organisations to become more efficient. I do not, however, believe that austerity measures should be taken to a point where they result in the removal of important frontline services. This is what the Conservatives and Labour have said they will do if they win the next election. In my opinion, the economic upturn that we are currently experiencing is temporary and has been caused by unsustainable increases in property and stock market prices. We need a fundamental restructuring of the banking industry to enable governments to channel investment into socially valuable industries. If this were to be achieved, the economy could be rebalanced without damaging public services. We must have controls on immigration. The current levels of immigration on placing far too much strain on public services and suppressing the wage levels of ordinary people. We need a certain level of immigration to be able to fund and care for our ageing population but we should only allow in people who have required skills, who are seeking genuine educational opportunities or who are refugees. The cost of housing take-up a large proportion of the average worker’s income. New residential properties need to be built at a much faster rate and a significant proportion of these must be social housing. Local authorities must once again be allowed, enabled and encouraged to investing housing stock. Zero hours contracts also need to be addressed. A higher minimum wage should apply to people employed on zero hours contracts to reflect the increased uncertainty of income. I believe that we need to focus the NHS back on caring and quality. Doctors and nurses need to be given time to do their job properly and be unable to drive job satisfaction from it. Hand-in-hand with such an approach should be an increased focus on maintaining best practice. 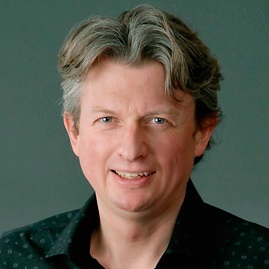 I am opposed to the outsourcing of services to large multinational companies but I do think that there is more scope for increasing the range of options available to general practitioners and patients at a local level by, for example, encouraging provision of services by charities and social enterprises. We need a revolution in teaching. It is still the case that many young people leave school without understanding the natural attributes. We therefore need to invest heavily in career advice and development, and provide more apprenticeships. We also, however, need to re-establish a work ethic. I do not believe that anybody who is not working should receive a benefit without contributing something back to society. We therefore need to establish a system whereby people on benefits carry out community work or engage in personal development processes while on benefit. This would help to create a bridge to the working environment. Yes. I think the lack of balance in terms of gender in Parliament does have a significant impact on policy, skewing it towards moneymaking rather than the well-being of people. Also, the fact that politics has come to be seen as a career has meant that current MPs are drawn from a much narrower demographic. The first past the post system embeds an unrepresentative dynamic within our political system as it makes it difficult for members of parties representing minority views to gain election. The EU is fundamentally flawed. However, if we left the EU at this stage we would risk falling into the hands of ultra-capitalists and ending up with an even more unequal society in the mould of the USA. I feel that at the present moment there are much bigger issues that we need to address in order to rebalance our society and economy, and protect our environment, and that we need to work with governments across the globe if we are to successfully tackle them. I do feel, however, that the British public should be given the opportunity to express their view and therefore I support the holding of an early referendum as to whether we should stay in the EU.